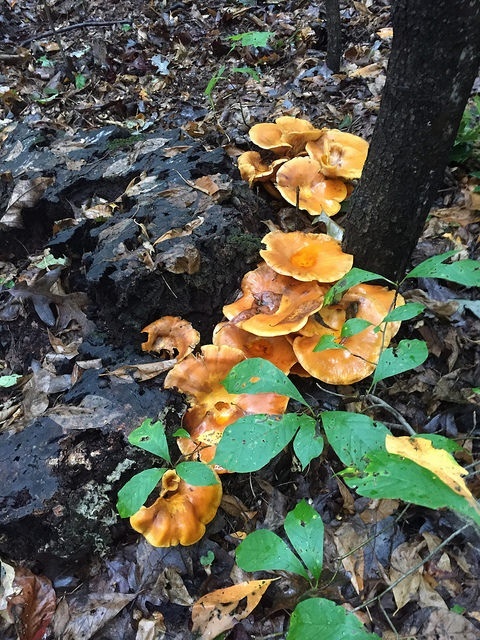 Published September 30, 2018 at 480 × 640 in Rain = Mushrooms! Jack O’Lantern. Photo by Elaine Smith.